Nisaa provides online lectures on a variety of cultural and historical topics related to Middle Eastern dance. Please review the information below, and If you have any additional questions that are not answered here, please e-mail or call 314.599.0506. Click here to view a sample lecture on YouTube. See below for upcoming lectures! Purchase by the date indicated. Download the free Zoom Client software for your computer or mobile device. You'll be able to attend live AND you'll receive a link to download the lecture once it's available. No problem! All lectures will be archived so that they can be purchased at a later date. See below to purchase archive lectures. Purchase at any time and within 24-48 hours you'll receive a link to download the lecture. $30 per lecture unless otherwise specified. ​One of the most spectacular traditional dances of Egypt is raqs shamadan, the candelabdum dance. 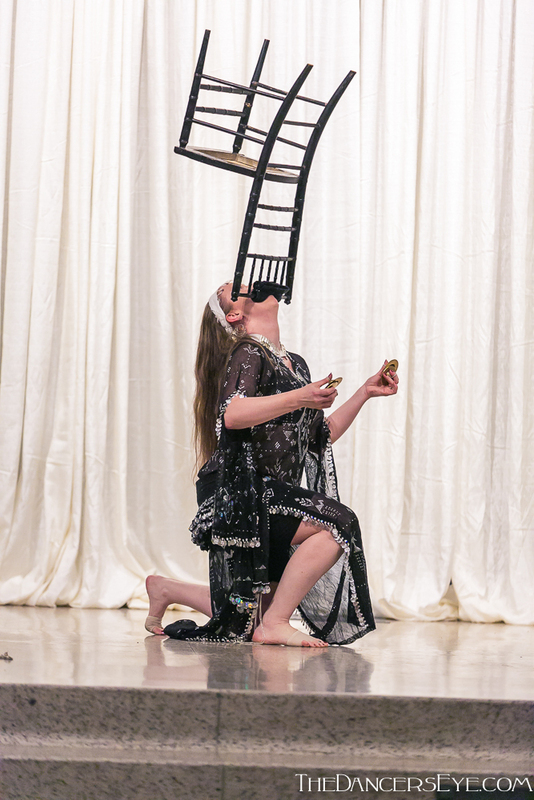 In raqs shamadan, the entire dance, often including an array of extraordinary acrobatic feats, is performed while balancing a shamadan (candelabrum) on the head. In this lecture, Nisaa traces the history of this remarkable and unusual dance, from its earliest appearances among Egypt’s awalim and ghawazi, to its current role in the Egyptian dance repertoire. Special attention will be paid to famous dancers often associated with this dance form, including Shafiqah al-Qibtiyyah, Zubah al-Klubatiyyah, and Nazlah al-Adil. Description: Most aficionados of Egyptian belly dance are aware of Badia Masabni and her famous night clubs, and without a doubt, Badia’s clubs occupy an important place in the history of raqs sharqi. However, Badia’s clubs were neither the first nor the only venues of their kind. In reality, clubs like Badia’s grand Casino Opera were the culmination of a trend in Egyptian entertainment venues beginning in the late nineteenth century, and the transformation of awalim and ghawazi dance into raqs sharqi was already underway in the earlier, lesser-known cafés chantants or salat of Azbakiyah and Imad ad-Din Street. 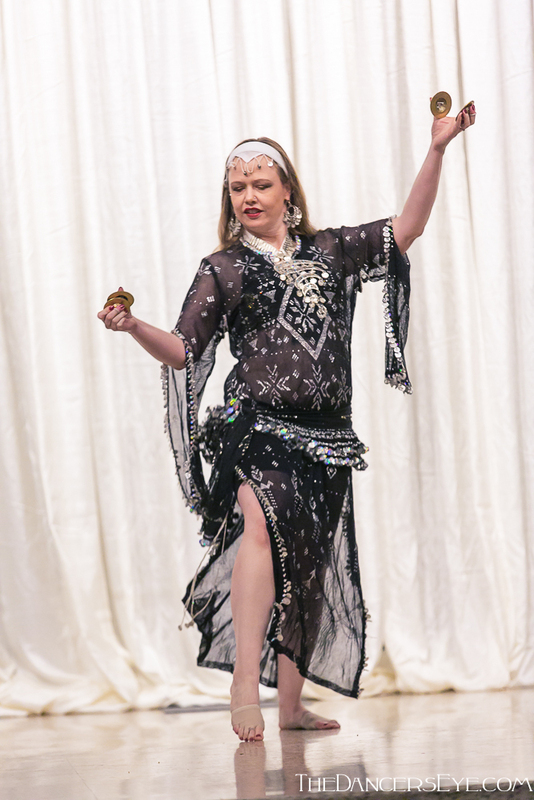 This lecture explores how developments in popular entertainment and performance space in Cairo impacted the evolution of belly dance and ultimately gave rise to what we now recognize as raqs sharqi. Special attention will be paid to the sala El Dorado, one of the better-documented entertainment halls from the pre-Badia Masabni era. Description: The awalim and the ghawazi are Egypt’s original professional “belly dancers.” Long before the emergence of theatrical raqs sharqi at the turn of the nineteenth and twentieth centuries, the singing and dancing of these women brought joy and delight to important social occasions. Even after the rise of raqs sharqi, the awalim and the ghawazi would persist in Egyptian life, even into the modern day. This lecture traces the complicated history of Egypt’s awalim and ghawazi. Nisaa discusses the various sociocultural, political, and economic circumstances that have impacted the fortunes of these women from the late eighteenth century to the present day, and she explores how their dance styles, including associated music and costuming, have evolved over the centuries.